Whisper Choice Ultra Sanitary Pads are longer to provide extra coverage and prevent stains. This revolutionary pad has wings which keep the pad in place. Don't worry about stains and be unstoppable. Kadam Badhaye Jaa. Additional Information : Whisper, a renowned brand under the umbrella of P&G, is one of the most trusted brands used by women all over the world. 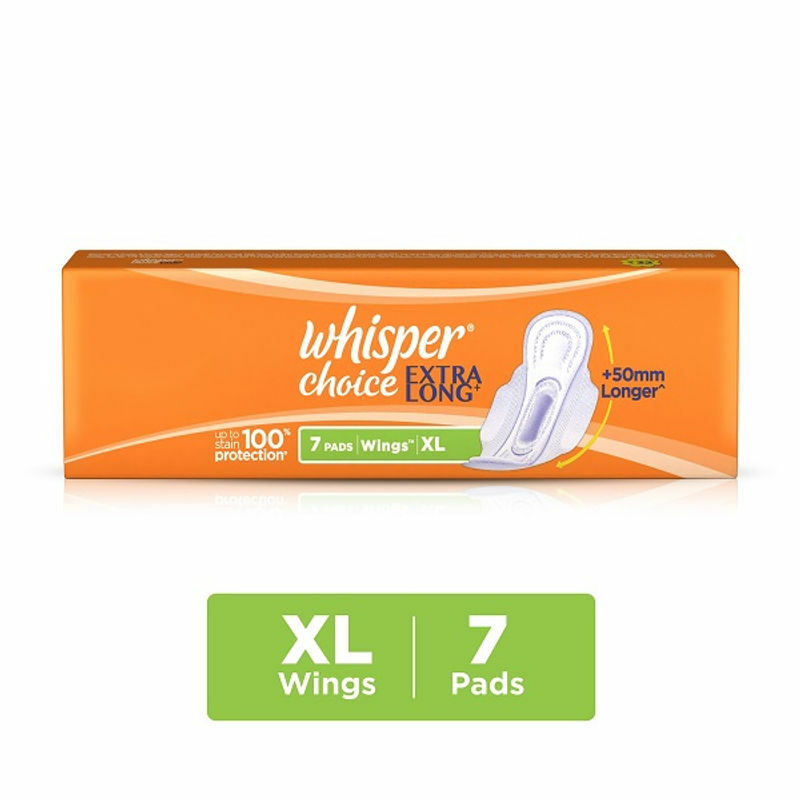 Whisper offers a wide range of sanitary napkins to suit every woman's needs. Whisper believes that with the right menstrual pad, you can take the first step to having a happy period and can be confident every day of the month.